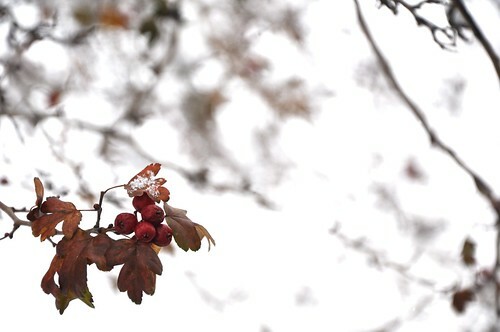 Rx for heart ailment: Hawthorn berry is believed to uplift and strengthen both the physical and emotional heart. Once I felt proprietary over another’s heart. It sounds presumptuous. Perhaps it was. I shrug and shoot off a tweet here to show you I don’t care about the poor impression such a claim makes. Fake news, I say. Like it was in the beginning and ever-shall-be, I carried their small heart inside of mine. Like Russian dolls, heart nested within heart, theirs in mine. Or was mine in theirs? Maybe Mr. Mueller should investigate after he’s finished with the president. While Mueller’s at it, he may as well report back on whether I’ve plagiarized e.e. cummings, who also carried around someone else’s heart, me and he(!) doing so new a thing. Now that I’m thinking about it, maybe the poet and I both stole the idea from Christ. Whose heart exactly was outside his chest, anyway? Back when I was a kid, other kids were giving their hearts to Jesus. Did that throbbing, spiked, and glowing heart belong to the son of God or was it on loan from another, less special, kid? I guess it wasn’t just me and e.e. cummings with capitalist feelings for other hearts, but Christ, too, all of us following the teachings of Adam Smith when it came to love of masses and free markets. Not many talk about Jesus where I live now. More like to debate the benefits of socialism over capitalism. We’re the Proud Boys of Progressiveness, pleased to include the girls, gender-benders and non-binary. I sigh here, and check my Twitter feed. You’re not paying attention, so I return to the matter of the hearts. Years followed where beats were synched. Be bop. Doo wap. Beneath my larger heart, the tiny one danced in electrical thumping, pumping, jamming, jiving, heart-digs and heart-grooves. Those were good times for the extra heart and me. 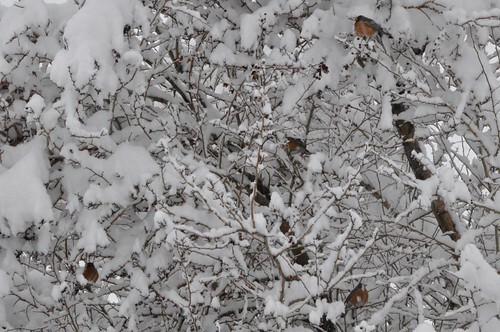 Heartland: Four robins in Hawthorn. A crust of ice over cold earth. I’d soothe the heart’s small hurts, fears, worries and frustrations, then store the feelings in a bottom drawer, while the wonderings and jokes, the curiosities and giggles I fluffed, refolded, and placed on top. It was never as easy as Mrs. Darling suggested, though maybe it was because she had three hearts to care for and I four(!). I didn’t know that as my skill grew, so would the heart’s pining for privacy — at least from me. It developed a predilection for others, a penchant for Snaps, and hung with Insta where my friend requests went ignored. I should’ve seen it as a warning of the day when I’d find the heart shuttered. A few nailed boards. An unanswered knock. A hand-lettered sign forbidding the unannounced visitor. Proprietary over progeny, I was suitably pissed and considered unfriending and unfollowing, but wised up, remembered I was older, could wait this out. That day marked a new passage of time. (Einstein would’ve applauded the relative leap in understanding.) A time of unknowing and unraveling, when solitary grew into strangeness and the familiar returned to foreign. What once was mine was no longer. It was a bummer, this being back to a single heart with its faint beat and its empty field. Without fan, friend or follower, I listened to the sound of my own voice and the pause between my own words. With click and whir I opened the gate and wandered in to dig frozen soil, unearth a worm, tear out knapweed. Here I make the sign of the cross and touch fingers to lips in reverence (or is it reference?) to the holy trinity of God, poet and capitalist. In the space inside my chest is a rosary two-hundred prayers long, each bead wrapped in onionskin and buried just until spring when the world is Mueller-luscious and the small businessman whistles far and wee. Then daffodils will bloom in the heartland, and I’ll bring bushels of them to the marketplace where words are cheap, but flowers buy fresh hearts. The investigator and his target.